"The Happy Place" … a beautiful landscaped street. Happy neighbors strolling the sidewalk waving hello at one another. Pet waste-free common areas. Immaculately maintained homes. 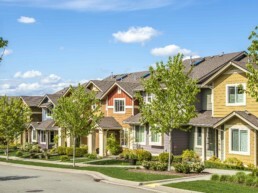 Is this picture-perfect Homeowner Association community yours? 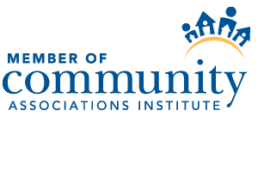 Over the past few decades, the need for professional management of homeowner association communities has grown significantly. Homeowners, Association boards, and Developers have recognized they require the specialized expertise of talented management teams like Association Management Services (AMS).Because of our specialized knowledge, the AMS team, works with your association board and homeowners to assure your Homeowner’s Association is protecting each individual's investment, providing a comfortable living environment, and resolving community issues. AMS provides a premier full-service management exclusively for Townhome and Condominium Homeowner Associations in the greater Des Moines and surrounding areas, including Altoona, Ankeny, Clive, Grimes, Urbandale, Waukee, and West Des Moines. AMS manages Homeowner Associations of all sizes, including 3-story condo buildings, pools, clubhouses, and gated townhome communities with ponds and fountains. AMS takes the lead in offering services that do not have 'hidden' costs. AMS works with local vendors, and eliminates 'referral fees and charges' for contracted services. Our responsibility is complete and honest dedication to providing our associations and homeowners with the finest quality of service. Click on our Services tab and take a look at what our company offers and compare today...you'll be glad you did!